Disability: Autism, intellectual disability, spina bifida. Her mother made good on those statements when she drugged and then smothered Ruby to death. In her book, Ruby’s mother briefly mentions Ruby playing on the piano. A review of the services available to Ruby and her mother found they were adequate. Perpetrator: Donella Knox (Mother), pleaded guilty to murder, sentenced to 4 years, scheduled to be released after less than two years. No Excusing the Murder of Autistics! Location: Clendon Park, Auckland, New Zealand. Jermain’s grandmother was angry that he was having trouble walking; so she threw him down the hallway, causing a head injury that killed him. She then tried to blame his death on his four-year-old sister. Perpetrator: Kathleen Elizabeth Cooper (Grandmother), convicted of murder, sentenced to 14-and-a-half years to life. Location: Papanui, Christchurch, New Zealand. Leon was beaten to death by his stepfather; he died of massive head injuries. Evidently Leon had been abused regularly for some time; he and his older brother had both been treated for head injuries at the hospital, but they had all been written off as accidental. Perpetrator: James Stedman Roberts (Stepfather), charged with murder, committed suicide while out on bail. Location: Manurewa, South Auckland, New Zealand. Disability: Elderly disabled; possibly bulimia. Ena Lai lived with her daughter in a rented house. Her daughter refused to take care of her or ask for help; she claimed that Ena Lai had bulimia and refused to eat. Ena Lai died in her filthy bed, weighing only 29 kg (64 pounds), dehydrated, malnourished, and suffering from infected bedsores. She had fourteen half-healed broken ribs and a broken sternum. 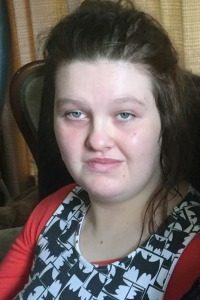 Perpetrator: Cindy Taylor (Daughter), found guilty of manslaughter, sentenced to 13 years 3 months; Brian Taylor (Housemate), Luana Taylor (Housemate), found guilty of failure to protect a vulnerable adult. Location: Western Southland, New Zealand. Sarah-Jane’s father shot her, then killed himself. 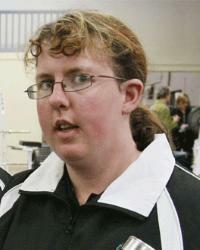 Sarah-Jane was a powerlifter who competed in the 2007 Shanghai Special Olympics. Elsie was poisoned by her son, with an overdose of painkillers and anxiolytics. She was dead within hours. Perpetrator: Ian Crutchley (Son); convicted of attempted murder, given probation and community service. Britney and her little sister both had Usher syndrome. Their father put them in the car and drove off a mountain, killing Britney. Her little sister survived. Perpetrator: Garth Duwayne Abbott (Father), convicted of manslaughter, sentenced to 4 1/2 years. Age at death: 5 months. When he learned that her diagnosis would cause lifelong severe disability, Baby C’s father smothered her. Perpetrator: Her father; charged with manslaughter but acquitted, even though he confessed during the trial. Olga’s husband drugged her with sleeping pills, bludgeoned her with a hammer, and then smothered her. Perpetrator: Rex Arthur Law (Husband), pleaded guilty to murder, sentenced to 18 months in prison, with the possibility of applying for home confinement. Florence’s son strangled her with the cord to her morphine pump. 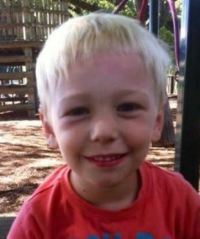 Perpetrator: Christopher Simpson (Son), charged with murder.